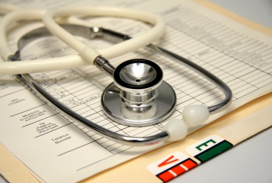 Has Your Business Seen Medical Identity Theft? Last year, medical identity theft affected nearly two million Americans – 32% more than the year before. This is a staggering number! And considering that today, medical identity theft accounts for 43% of all identity theft in US, and cases are rising fast, the potential for serious medical mishaps is very high, and possibly life threatening. Medical identity theft occurs when someone uses another person’s name and other personal information to fraudulently receive medical products or services, including prescription drugs and insurance reimbursements. This crime is growing rapidly and as such, it’s important to highlight some serious ramifications. Many Americans don’t realize the permanent damage that medical identity theft can cause on their medical records. Victims could receive incorrect or even life threatening treatment in the future. Imagine, worst case scenario, you find yourself in an emergency room losing blood and fast. You’re not awake, therefore, can’t tell the doctors your blood type is B negative. But that’s okay – that information is on your medical records. Only those records say your blood type is A negative… after an identity thief had a blood test. Antibodies in your own blood will attack and destroy the donor red blood cells if they aren’t compatible, resulting in bleeding, fevers, and kidney damage. What if you were given a drug you were deathly allergic to, but your identity thief was not? It cost money to sort out medical records and this deters many victims from taking action. If someone steals your credit card and uses it, most credit card companies will waive the charges and restore your financial records. But victims of medical identity theft don’t have such a luxury, and the costs associated with medical identity theft are around 6 times greater than financial theft. Here’s a frightening number: In 2013, medical identity theft cost American victims about $12.3 billion in out-of-pocket expenses, each paying approximately $22,000 in bills they didn’t incur. Many people don’t have that kind of money kicking around and just hope the issue just goes away by itself. Here’s another fact: on average, it takes more than a year for victims to straighten out the damage caused by medical identity theft. To determine your coverage, healthcare providers look at medical records. 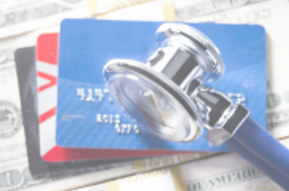 Any changes that are made through medical identity theft can seriously impact insurance. Example: treatments you really need might not be covered because your records insist you’ve exceeded your maximum yearly benefit. Medical identity theft affects your life insurance too. Your incorrect records might show you to be a high risk because of a chronic condition you really don’t have, therefore, you are denied coverage. Almost two out of every five American victims of medical identity theft lost their insurance coverage because of security breaches. People can lose faith in their healthcare providers as medical identity theft grows. Fifty-six percent of American medical identity theft victims say they’ve lost confidence and trust in their healthcare provider after the crime occurred. Many Americans believe healthcare providers are responsible for protecting their medical records, and 57% of people would abandon their current provider if their medical records couldn’t be safeguarded. It’s clear that any breach in trust stemming from medical identity theft can hurt a healthcare provider’s bottom line. Correcting medical records can also be expensive for healthcare providers too. Fixing a medical data breach can cost providers around $200 for every individual affected. And, organizations that don’t follow regulatory requirements put in place may face $1.5 million in fines and damages. Medical identity can ruin the careers of good honest doctors. If a thief steals their medical records, they may face substantial bills and legal action. Patients may also lose faith in their practitioner and take their business elsewhere. Many medical offices are not equipped with security measures needed to ensure safety of medical records, even though they are legally responsible for safeguarding patient information. Many medical firms allow staff members to access patient records via their own devices. Many don’t require devices to have anti-virus programs installed. Without such security measures in place, doctors and other medical staff may become unwitting accomplices to medical identity theft. So Where Do Thefts Happen? Anywhere. Medical staff in a doctor’s office might be taking information via their mobile devices, as mentioned above, intentionally or not. Pharmacy employees have many records at their disposal and can also participate in medical identity theft. These seemingly small individual acts cost lives and money. If you knew this was happening in your place of employment, would you blow the whistle? After all, you could be saving lives. Chances are the organization doesn’t even know it’s happening, until it’s too late. All it takes is one tip from a whistleblower. The medical industry is in business for one thing – to save lives. So protect your business!